Need a reason to come and party with Nordic later this month? Here are 6. When you're in Madison this August, you'll likely be inundated with invitations to parties, dinners, and cocktail hours. We'll make this short and sweet: We would be honored if you chose to spend your Monday evening with us. We'd love to spend a few hours getting to know you better, swapping stories and tasting the best beer, cocktails, and cheese curds that Madison has to offer. 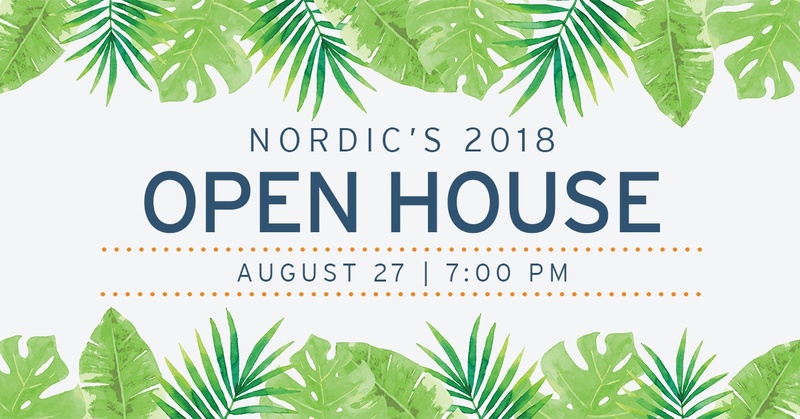 Hopefully we had you at "cheese curds," but if you need a few more reasons to swing by our Nordic Open House on Aug. 27 from 7-11 p.m., here are six of them. 1. We want to hear about you. We have all year to talk to you about our business; this night is a chance to hear about you. Whether you just got back from a fantastic vacation or put your kid in soccer camp, whether you're stressed about upgrades or facing a Connect rollout, we want to know what's on your mind and how we can help. If we're there to just listen, laugh, and commiserate about shared challenges, that's our idea of a perfect night. 2. 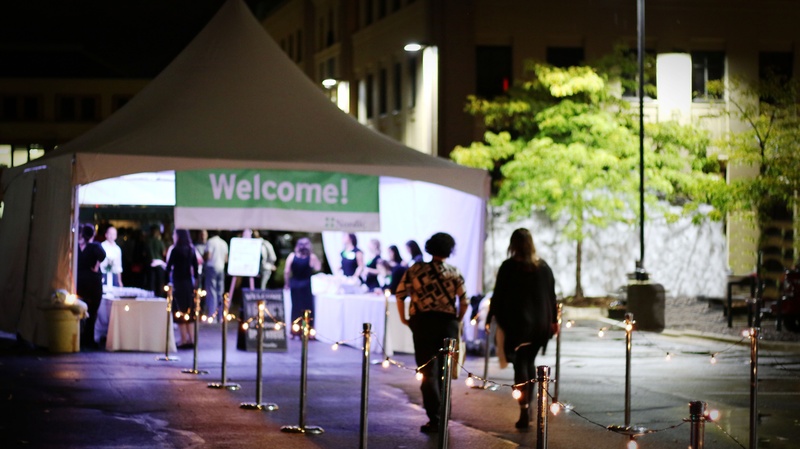 The vibe of our Open House is "upscale outdoor cocktail party." You'll have to come and see it to know exactly what we mean, but essentially we're bringing together great cocktails, lush decorations, and mid-century modern furnishings to help you relax in style after a long day of sessions. We guarantee that with an old fashioned in hand and real plants all around you, you'll have a great time. 3. We have the best drinks in Madison. This year, we're stepping up our game. In addition to beer and wine provided by Table Wine, the Open House will feature a custom "tap wall" from local company Borrowed Bar that answers the age-old question: Do you like your coffee with beer or without? Step up to the wall to sample a coffee stout and a Cadence cold-brewed coffee and tell us which you prefer. And of course, it wouldn't be a Nordic party without the Barmadillo, the traveling cocktail bar, serving beer, wine, and cocktails all night. 4. Summer in Madison is best spent outdoors. Here in the upper Midwest, we get approximately four months of great weather every year before we descend into sub-zero temperatures. That means August should be spent outside. On a warm summer night, there's nothing better than a chance to sip drinks and share stories with friends — all set to the tune of our piano player, who is returning to play the hits all night. 5. We're supporting a good cause. At the event, many Nordic team members will be proudly wearing beaded green necklaces made by artisans in Uganda and Indonesia through 31 Bits, a company dedicated to driving positive change in the world by giving artisans dignified jobs and inspiring others to live meaningful lives. 6. Did we mention that we have cheese curds? It's not a Madison party without them! 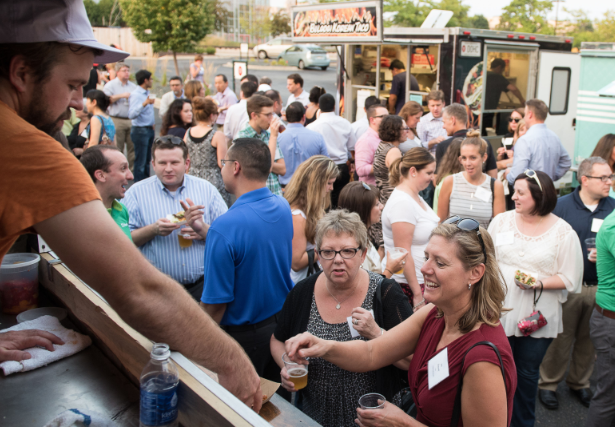 The event will feature food carts from local establishments like Curd Girl, Banzo, El Grito, The Looking Glass Bakery, Melted, and Underground Butcher to make sure you don't go hungry after a long day of work. Whatever your reason for stopping by, we would love to see you! RSVP below, and please feel free to share the details of our event with any colleagues who will be in Madison this August.